THE International Monetary Fund's warning last week that Singapore's slower inflow of foreign workers could hurt growth and competitiveness should not prompt Singapore to relax its manpower policies, said deputy labour chief Heng Chee How yesterday. Instead, this danger is precisely why Singapore must press on with restructuring for productivity gains, said Mr Heng, who is also Senior Minister of State in the Prime Minister's Office. He was speaking at the hospitality sector's Excellent Service Award ceremony, organised by the Singapore Hotel Association. 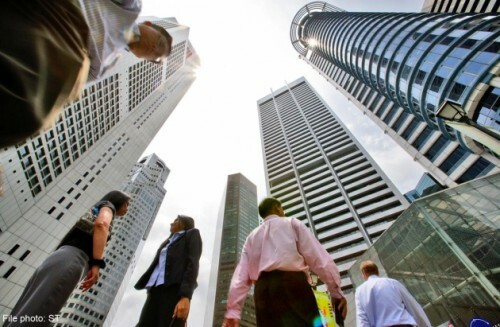 The IMF had said Singapore faced external risks such as a slowing global economy, and gains from raising productivity would take time. But a U-turn on foreign manpower policy would "erode the incentive for us to invest in upgrading our economy", said Mr Heng. The excellence award shows upgrading is important to the hospitality sector, he said. Now in its 20th year, it is given to service professionals from seven industries, such as banking, retail and land transport. This year, the hospitality sector awarded a record 3,095 staff from 105 companies. Higher productivity is not just about speed or technology, but also creating value by doing things better, said Mr Heng. "Everyone in the industry knows the tremendous value of the employee who can keep delighting customers, (and by doing so) helps the company produce more and repeated business." He cited award winners such as Mr Kenneth Ng, 32, concierge team leader at the Grand Hyatt. To help an elderly guest who had damaged his tooth late at night and had an early flight the next morning, Mr Ng persuaded his own family dentist to open his clinic and attend to the guest. Mr Ng won the SHA Outstanding Star Award for the hotel sector, the highest accolade. Winning the same award for the non-hotel sector was Mr Mohamed Kaiash Mohamed, 52, senior customer service officer at the Singapore Cruise Centre. Good service gives a good impression not just of the company, but also the country, said Mr Mohamed: "The brand, at the end of the day, is Singapore."